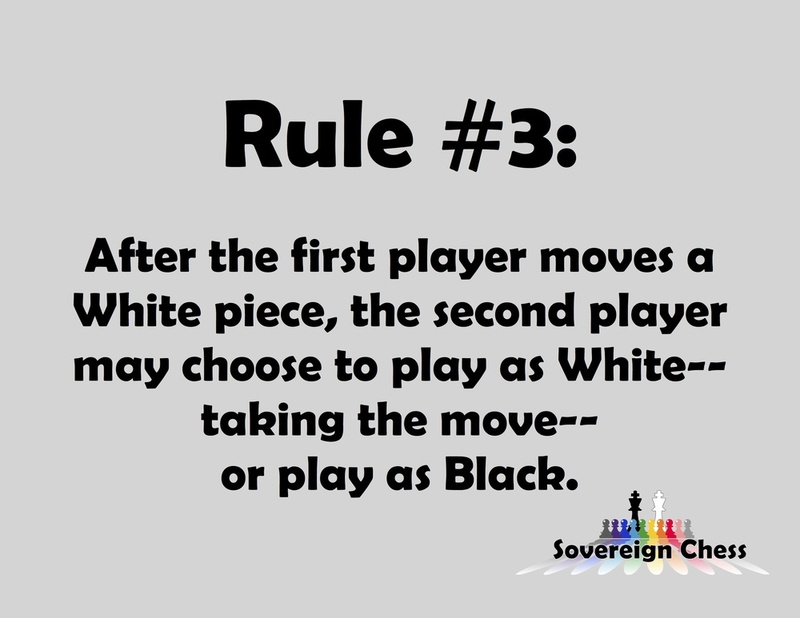 Sovereign Chess uses the "pie rule"--one player makes the first move as White, and then the second player chooses whether to play as White or Black. This eliminates the first-player advantage seen with traditional chess, as well as many other strategy games. If the first player makes a move that is seen as too strong, then the second player make choose to take it and play as White. Open too carefully, and you might get stuck in a weak position by an opponent who chooses to jump on you as Black. Copyright © 2012, Mark Bates. All rights reserved.